Do You Dare Visit A Museum at Midnight? 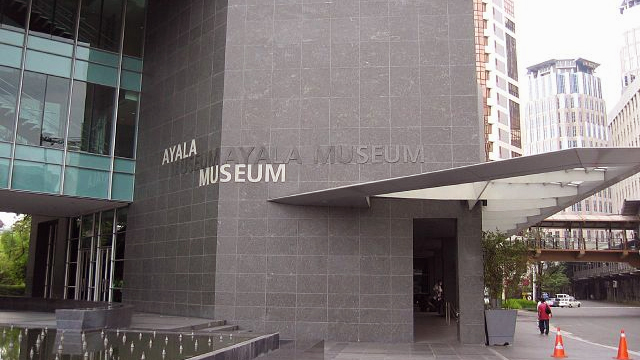 Ayala Museum opens its doors until 12 a.m. for Halloween. (SPOT.ph) Every Día de Muertos, the spirits of the dead make their way to the land of the living, reunite with their families, and even share a bottle of tequila over a sumptuous feast—at least that's what Mexicans believe, which most of us are made even more familiar with through the Disney Pixar movie Coco. This year, Ayala Museum in Makati City tries to recapture this fun-filled and colorful holiday through its Halloween event on October 26. Best thing about it? The museum doors are open from 7 p.m. to 12 a.m., allowing guests to stay during the after-hours. Bet you never tried that before! With the theme Día de Muertos: Forgotten Souls, Ayala Museum gives tribute to the souls that have been outcast and forgotten by society through a horror adventure tour presented by Sipat Lawin Ensemble. There will be challenges about the holiday's rituals, superstitions, and ceremonies. After the tour, guests can also join the Fil-Mexican Loteria Game Night where you can learn more about the similarities between Filipino and Mexican cultures. 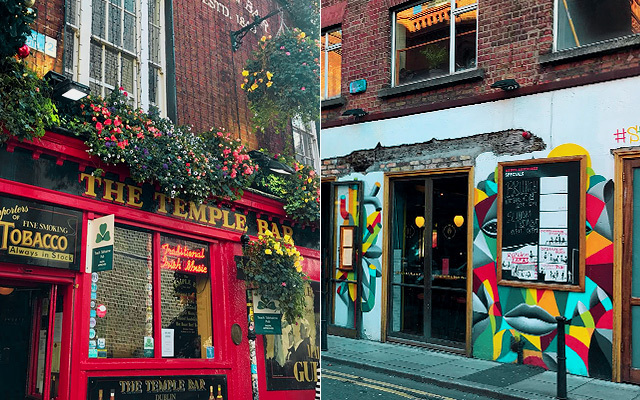 We do have our own Todos los Santos, right? 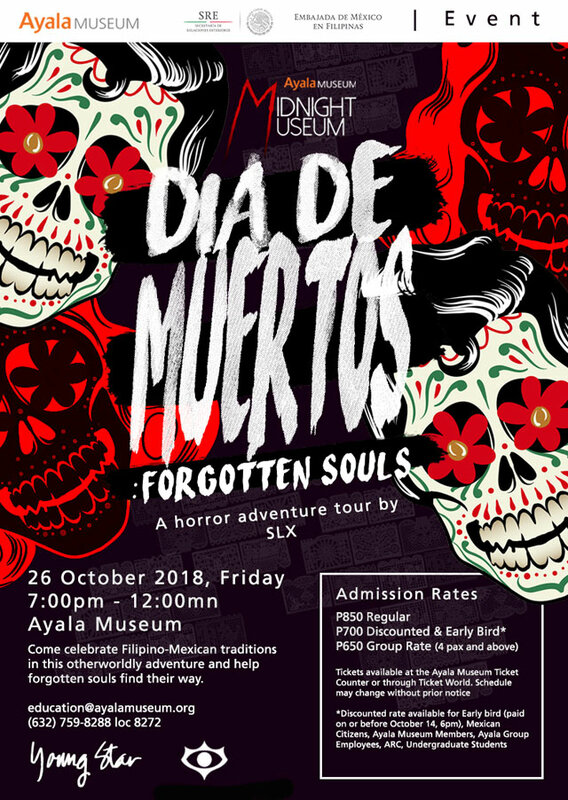 To complete that Coco feel, tacos, nachos, and tequila will be served as early as 11 a.m.
Tickets to Día de Muertos: Forgotten Souls is at P850, which is inclusive of a 30-minute horror adventure tour, a 30-minute Fil-Mexican Loteria Game Night, unlimited access to Ayala Museum's galleries from 1 p.m. to 5 p.m. or from 7 p.m. to 12 a.m., and freebies from the food booths. You can purchase your passes online and choose from four time slots: 7 p.m. to 8 p.m., 8 p.m. to 9 p.m., 9 p.m. to 10 p.m., and 10 p.m. to 11. p.m.
Día de Muertos: Forgotten Souls is the fifth edition of Ayala Museum's Midnight Museum. 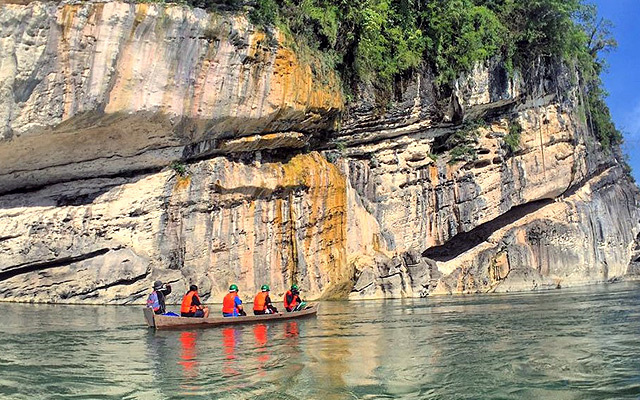 In 2017, they partnered with Mystery Manila for a Filipino mythology-themed adventure tour. Midnight Museum is on October 26, from 7 p.m. to 12 a.m. at the Ayala Museum, Makati Avenue corner De La Rosa Street, Greenbelt Park, Makati City. Tickets, priced at P850, are available at the Ayala Museum. For more information, visit Ayala Museum's website.